Over the weekend, I re-watched the movie “Begin Again”, which stars Mark Ruffalo as a music producer, Keira Knightley as a singer/songwriter and Adam Levine as her rising rock star boyfriend. You can say what you like about the movie, but it has a great scene that demonstrates how a music producer’s brain works when they hear a demo song. 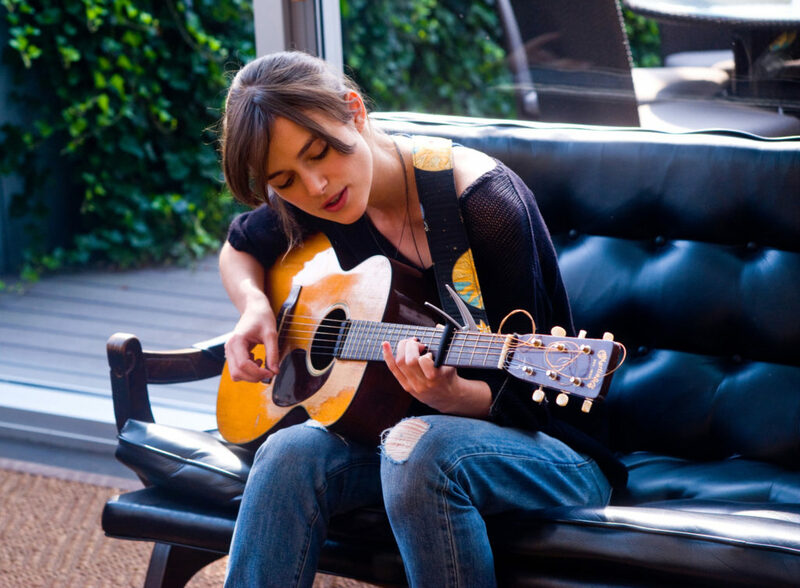 Early in the movie, Keira Knightley performs the song “A Step You Can’t Take Back” as an acoustic solo from her perspective. We get to see and hear it in its raw state. A little later, we see the scene of her performing the song from Mark Ruffalo’s eyes in the crowd, and in his brain he imagines what the entire song sounds like fully produced… with drums, cello, violin, bass, guitar, keys, and backing vocals. There is some good songwriting in the movie, particularly the song “Lost Stars”, which was up for an Academy Award in 2015. A team of songwriters wrote many of the film’s songs and interestingly enough they are all connected to the singer/producer Gregg Alexander, probably best known for being the frontman for the band The New Radicals and their huge hit “You Get What You Give”. Keira Knightley had never really sang much before doing this film, so director John Carney (who also directed “Once”) enlisted vocal coach Roger Love to help her. Check this article in the LA Times out to learn about the vocal coaching process for this film. In all, this movie hit home on a lot of music business practices. From vocal coaching and songwriting teams to how a music producer’s brains work, the film put a lot of these concepts into a narrative framework that is enjoyable to watch and easy to understand. I encourage any singer/songwriter or music producer to watch this movie!